How to Optimize Your E-mail Marketing Strategy ? 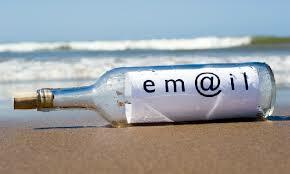 Home > Blog > Blog > How to Optimize Your E-mail Marketing Strategy ? The reason being these are the people who have opted to hear from you your e-mail list is supposed to be your most engaged audience. They want you to mark an e-mail to them consisting the information they are looking for. It implies that optimizing your e-mail strategy really does matters for you to have conversions of the highest quality leads. However, a recent survey unveiled that still only 41% of the companies have a strategy where in they optimize e-mails to gain a better ROI. The first step that you need to put forward is to think tactically about measuring the results of your campaigns and to optimize their productivity in linking the two. You need to have a well-optimized list in order to embark on your e-mail optimization. There are so many things that need to be taken care of while preparing the list starting from the headline of the e-mail to its design, data segmentation and the time when you are sending the e-mail. It is very necessary for you to think from the prospect’s perspective while designing your email campaign. There is a person sitting there who will get intrigued by the headline of the email and will finally open it at the end of every elegant template. There will be people with different interest at the different stages of the sales funnel which is why you need to segment your data in order to line up your content with your potential buyer’s needs. A recent report on this fact revealed that 84% of B2B marketers prefer to have segment targeting in their email campaign as they have started to make out reason in this strategy. On top of that it adds more to the value of segmentation as it is becoming more and more efficient. Collection and segmentation of your email marketing is becoming progressively more competent with email workflows, marketing automation, and tools such as automatically triggered smart lists. Moreover, you also need to ensure that the layout that you are using is mobile friendly as recent research projected that almost 80% of the people read their mails on mobile devices. The idea is not to lose any part of the potential customer base which is why you need to make sure you have your emails mobile-optimized. This is a fact that optimization is not easy. You need to take so much into account that sometimes it seems irresistible. However, optimization is a method that helps you truly assess your success in terms of marketing efforts. It helps you achieve better goals, better ROI as it dynamically evaluates every part of your online presence and respectively measures how these channels work together. You get to have a better understanding about your audience, the product that will suit them and how to go about the sales funnel by optimizing each step of your campaign.